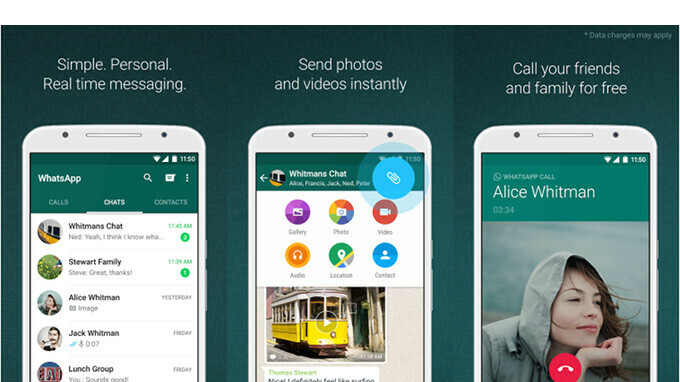 WhatsApp has just received a small update that brings a couple of new features and improvements to Android users. Some of these new features have been released on iOS one week earlier, so if you're using an iPhone should already have the new group-related features included in the update. The update brings a new ability that will allow Android users to add a description to a group in WhatsApp. That way, your friends will know about important info or the topic of a certain group. It's also worth mentioning that group descriptions will be visible when inviting someone via the group's invite link. Furthermore, WhatsApp for Android will now allow users to search the list of group participants directly from group info. These two new group-related features are coming in the newest version of WhatsApp for Android, but there's one more addition to the app. With the latest WhatsApp build, Android users can easily switch between voice and video calls by simply tapping the video button while on a call. Well, that's about it, so make sure to download the new app to benefit from these changes. I keep forgetting I have beta when I read these stories because we've had them for a while now. WhatsApp voice call quality has improved dramatically, well done Mr WhatsApp.